In this era of the “baby bust” and the growing popularity of studying abroad, institutions of higher education face fierce competition, whether they are a state university or a private college. The future of education is driven by technology that can reshape communications with prospects, current students, parents, and alumni. To prepare your organization to meet the expectations of this increasingly mobile community, create a professional marketing and communication strategy using GetResponse. Use one-to-one communication and a web presence to increase the quantity and quality of your students. 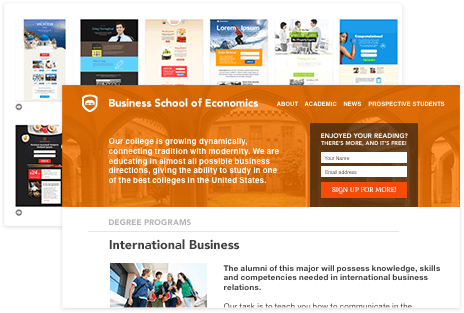 Choose from landing page templates to promote a variety of courses, school credentials, and personal stories of alumni. Create easy forms for candidates to learn how to contact the admissions office, register for a course, or apply for financial aid. Send holiday greetings, education financing tips, and videos about your school. 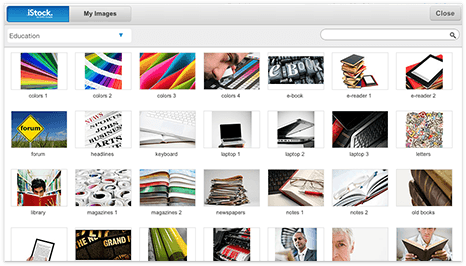 Synchronize data from various departments and manage it all from one platform. Set up email communications to promote the curriculum and extracurricular activities. Segment the student list by the academic degree they want to pursue, then send them personalized career opportunities. Help troubled students by sending alerts with deadlines and announcements from advisors. Share invitations to increase participation in a conference, seminar or workshop. Drive additional business by informing students about the day’s cafeteria menu or bookstore bestsellers. Compete with traditional academic programs. Move from glossy brochures to online media and transform your regular courses into an interactive experience. Enrich your lectures with professional videos, webinars and appealing images. Enhance enrollment by introducing easy registration to online courses and training. 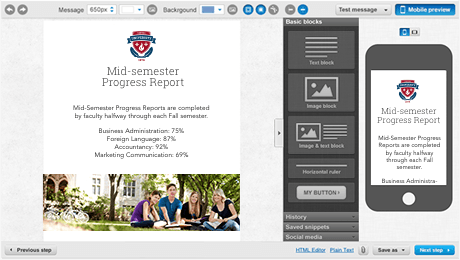 Provide your students with outlines, useful links, and notes before and after every class. Organize contests, challenges and quizzes via GetResponse advanced survey tools. Turn engaged prospects into engaged alumni. Help your friends, followers and connections create personal relationships. Foster teamwork by sharing school assignments and projects via social media. Create a hub to find roommates and send quick offers to your students. Manage parent expectations by sending progress updates, donation opportunities, and open-campus invitations. Provide tailored access to your advisors and educators according to their areas of expertise. Find areas of progress and opportunity. Do you want to meet or exceed your goals? Find out how many prospects joined a LinkedIn group, participated in online courses, or attended events. Send surveys to gather opinions about teacher performance throughout the semester. 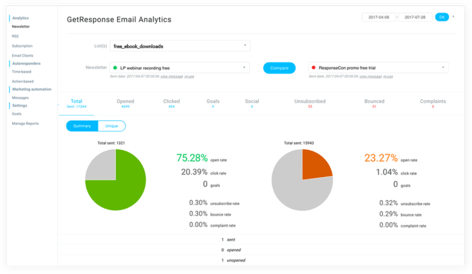 Get detailed reports emailed automatically with at-a-glance charts and analytics. Increase student satisfaction by soliciting feedback on Facebook. 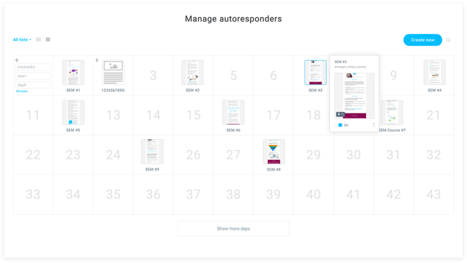 Create response-driven emails and websites that reach both mobile and desktop audience. Make sure your messages automatically adjust to fit the screens of your students’ smartphones and tablets. Send messages faster with GetResponse mobile apps for iOS, Android, and Kindle. Use social media integrations and RSS-to-email to create response-driven campaigns. Create competitive programs and allow access from any place in the world. Reach your audience in their local language and control email delivery by time zone. Introduce e-courses and send videos from lectures to deliver maximum benefits to foreign students. Create a virtual network of students, teachers, and advisors to promote better communication. 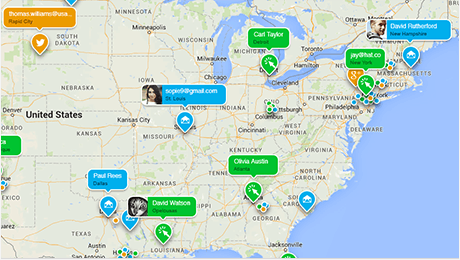 Use dynamic content and personalization to bring a hometown feel to multiple geolocations worldwide. Organize webinars to share knowledge with your international audience. Your students will love the incredible campaigns you create using GetResponse. 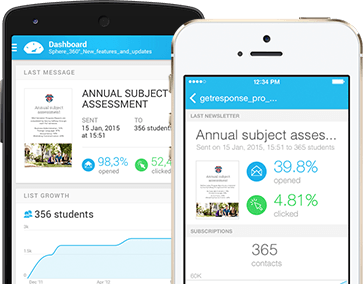 Find out all GetResponse can do for your educational institution.